The process of applying for a credit card isn’t typical but you need to make sure that you are fully prepared before you apply. In this article, we will guide you about how you should apply for credit card for instant approval. One of the most important factors that leads to the approval of your application for credit card is your credit score. A credit score is a number that help lenders decide how favourable it is to get repaid on time if they give a person a loan or a credit card. Typically, the credit scores are classified by lenders as- Bad credit (300 – 629), Average credit (630 – 689), Good credit (690 – 719), and Excellent credit (720 – 850). Most of the rewards credit cards require good or excellent credit score. If you don’t have a good credit history, then you should put off applying until you get your figures right. A good credit score is must, before you apply for credit card for instant approval. Making on-time payments, particularly on any bank-related bills. Keeping low balances on your existing credit cards. 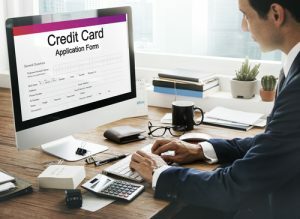 You may find it hard to get approved for a credit card with a big sign-up bonus and an attractive rewards structure if you don’t have a good credit score. Your each and every credit card application get added up on your credit report. Hence, before you apply for credit card for instant approval, it is recommended to find the one that fits your credit profile. If you want, you can directly call the card issuer and ask about the requirements of any specific card. High credit card balances isn’t good for your profile and can be harmful. Your credit utilisation ratio should be below 30% on each of your credit card. The credit utilisation ratio is your current balance divided by your credit limit. For example, if you have a credit limit of $10,000, we recommend you to keep your balance below $3,000 all the times. You can reduce your credit utilization by planning to pay down your existing balance as soon as possible. Also, it is advised to pay off purchases more than once per month in order to keep your balance low. Your credit score is a good indicator of your worthiness of the credit card, but it doesn’t let lenders know about your overall income. Credit card issuer need to know your overall income level in order to calculate your debt-to-income ratio, which helps them to predict your ability to make future payments. You can lower this ratio either by increasing your income or decreasing your debt. If you are earning outside your full-time job, you should include it in the application in order to reflect an accurate debt-to-income ratio. However, you should avoid overstating your income. You can be charged with the credit card fraud case if the issuer finds out that you’re providing false information in the application knowingly, which is a punishable offence. If you think you have done everything correctly but still your application is denied, you can call the credit card issuer to plead your case. You have got the right to ask the issuer about the reason for denial of your application. Be polite and formulate convincing reasons as to why the credit card is important to you. It really hurts being denied for the credit card. That’s why it is necessary to understand well about your credit situations before you apply for credit card for instant approval. Also, make sure to fill out accurate information during the application process.